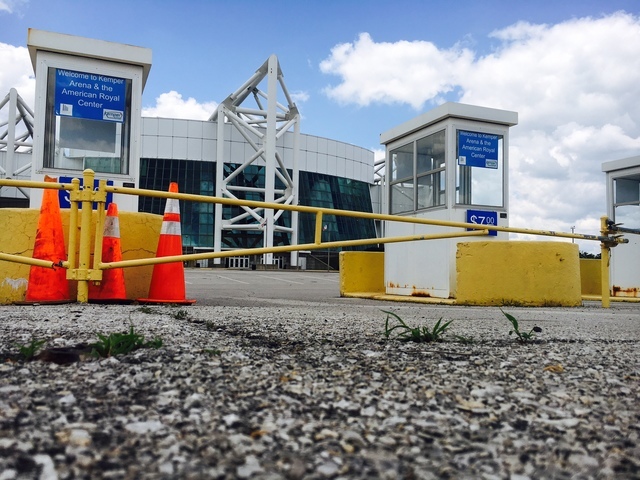 Kemper Arena’s future may literally rely on its past, and the future may be closer than most think. The Foutch Brothers announced their plan on Wednesday for Kemper Arena. They also announced their plan is contingent on Kemper becoming an official historic site, saying a third of the financing relies on the arena being put on the National Register for Historic Places. This move would qualify it for state and federal money. Dr. Antonio Holland is the only member of the Missouri Advisory Council on Historic Preservation who lives in Kansas City. This advisory council is the group reviewing and approving proposals for historic status to the state offices in Jefferson City. When asked if he thinks Kemper Arena, in his opinion, fits the bill for a historic site, he doesn’t hesitate. Holland says Kemper’s tried before. “As I recall, there was an emphasis on the architecture. Kemper represented a certain type of stadium," he said. "There are very few examples nationally of that type of architecture." Holland also mentions Kemper’s past events as a reason for why he believes it could garner historic status. Most notably, the Republican National Convention in 1976. The process to get a building on the National Register for Historic Places usually takes a minimum of six months, according to Holland. The process typically involves an established historic preservation consulting firm submitting plans on behalf of whomever has hired them. Those plans include descriptions, diagrams and pictures and are sent to the state historic preservation office. The state reads through information and determines if there is enough evidence and information for consideration, at which time they will send the proposal on to the state advisory council. The advisory council meets four times a year. If they approve, the state sends the proposal to Washington D.C. for final consideration. Holland says most proposals in Missouri are approved. The council meets Friday, May 20 in the St. Louis area, and while there are a couple of local Kansas City buildings up for possible historic status, Kemper is not on the agenda for this week. And it’s not set to be on any future agendas either. That’s because the advisory council has already approved their support of Kemper as historic, according to the woman hired to secure the designation. Elizabeth Rosin is a well-known historic preservationist with her consulting firm based right here in Kansas City. Her name is often on submissions made to the state for historic consideration. She says Foutch Brothers asked her a couple of years ago to look into garnering historic status for Kemper. Her work was well underway, but there were setbacks. Mostly the American Royal, according to Rosin. She says with pressure from the Royal, Foutch Brothers stopped their efforts to establish Kemper as a national historic site. Rosin says Historic Kansas City stepped in and asked her to continue her work on their behalf. And she’s close to being finished. Rosin says the advisory council already approved Kemper’s status as a historic site so her new revised submission doesn’t have to go back to the council. It will go directly to the Missouri Preservation Office which will then send it to the National Parks Service in Washington. Kemper's architecture was originally the driving force behind the quest for historic status, but Rosin says architectural changes made in 1996 disqualified Kemper from the historic designation. Her current proposal cites the buildings history as a regional entertainment venue. "It was big in the arena rock period," said Rosin. A time when rock bands and concerts became so popular, venues needed to accommodate 15,000 to 20,000 fans. 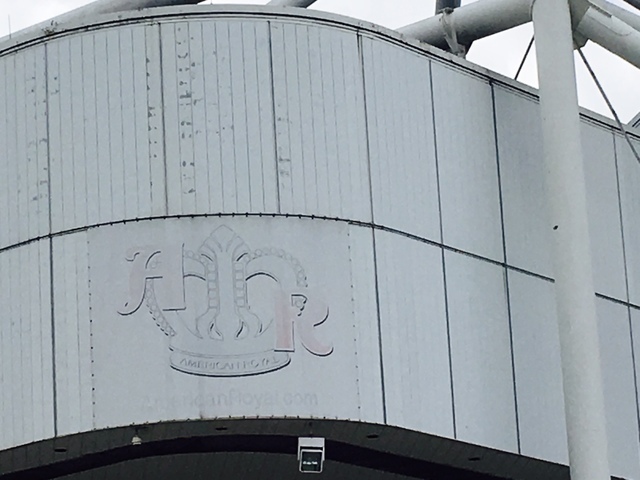 Rosin is hopeful the process to officially designate Kemper Arena as a historic place will be complete in the next 90 days. The historic designation will pave the way for Foutch Brothers plan. Which, if the company's landing page online can be trusted, they will respect the past -- Kemper’s past. And if they want the financial incentives for what looks to soon be a historic site, they’ll have to.